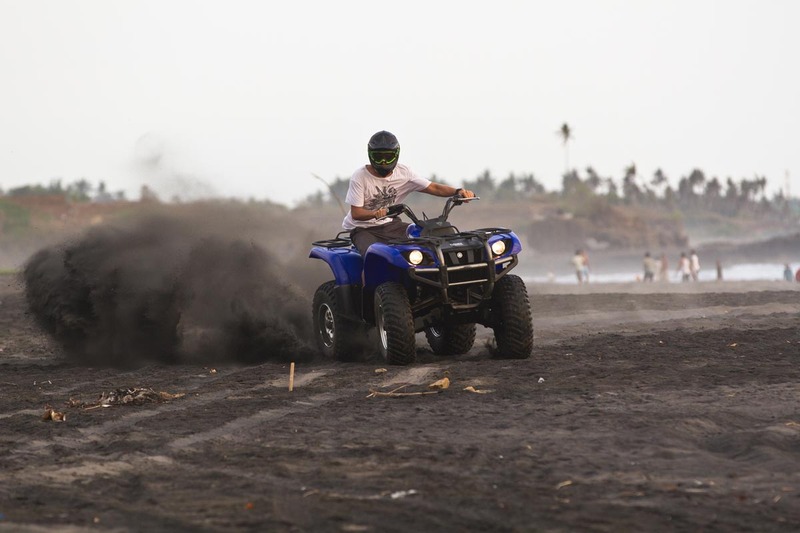 Bali Island ATV Supports Turtle Conservation at Yeh Gangga Beach, Bali. 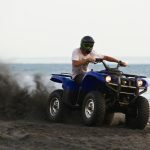 Bali Island ATV offer quad biking tours in Bali from their base in Yeh Gangga. 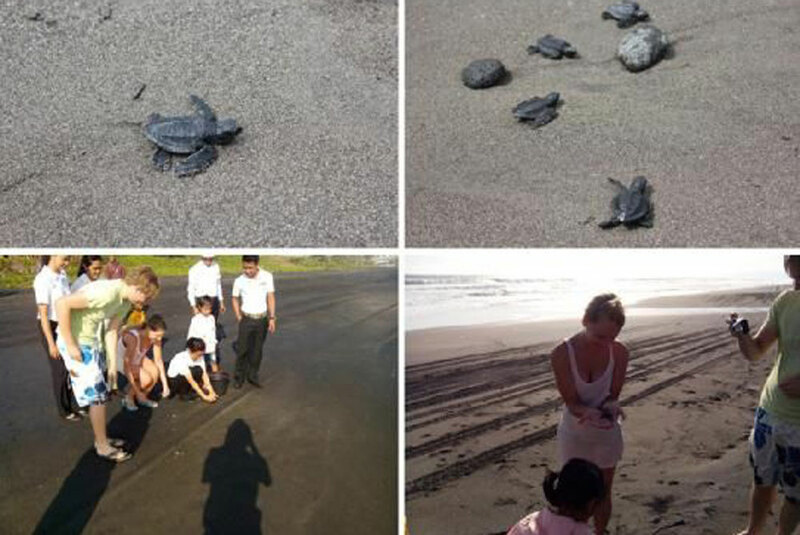 They are proud to be working together with the local village community to help the conservation of turtles in this area. 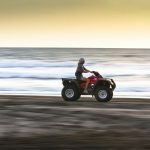 During this turtle season, 30 turtles have laid eggs on the surrounding beaches. More than 3000 eggs have been collected. 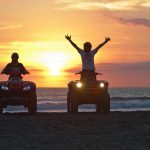 The reason for the collection is to ensure the eggs are safely hatched and then the turtles are released into the ocean. 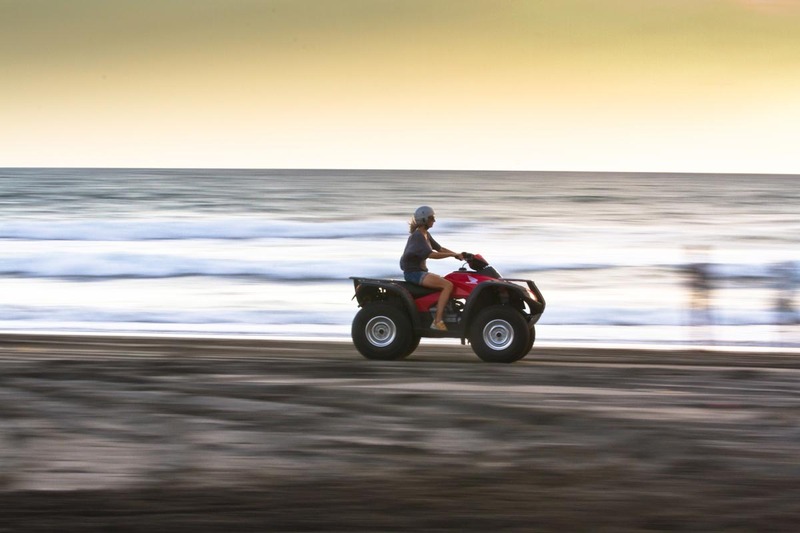 The turtles on Yeh Gangga Beach are Olive Ridley Hatchlings or in Indonesian Penyu Lekang. On average, only about one out of every 1000 turtles that are released into the ocean will survive. For those turtles that do survive, they will come back to the exact same location from where they were released in 35 years time to for the females to lay eggs themselves. Nesting season lasts from June until December. The average lifespan in the wild for the Olive Ridley turtle is 50 years, and the average size is between two and two and a half feet. 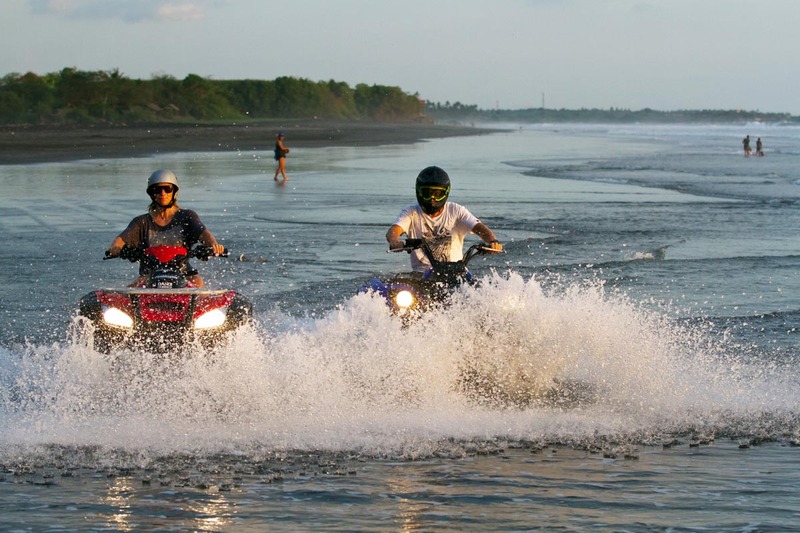 They are only found in warmer waters, including the southern Atlantic, Pacific and here in Bali, the Indian Ocean. 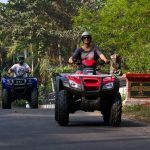 All people who go on a quad biking tour with Bali Island ATV are invited to make donations, which are gratefully received and 100% of which will go towards the conversation of turtles in the Yeh Gangga area. 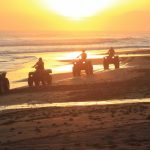 Depending on the time of tours, it may also be possible to help with the release of turtles into the ocean, straight from Yeh Gangga beach. 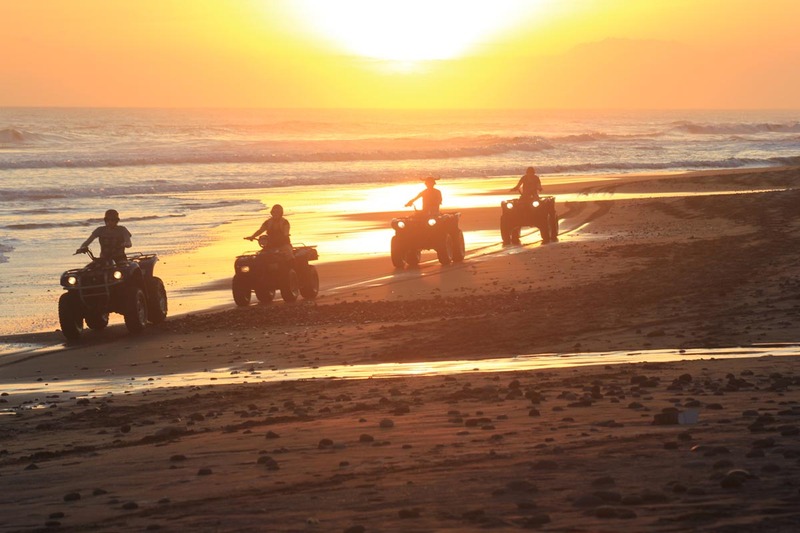 Bali Island ATV run quad biking tours of either one or two hours duration. 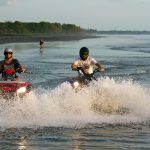 They provide a great way to see more of the fascinating island of Bali, offering fantastic adventure, cultural and sightseeing opportunities. 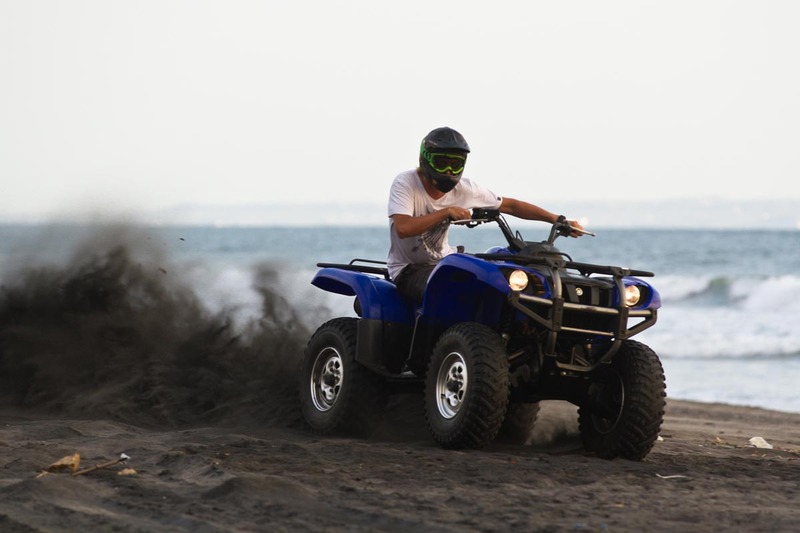 The price of tours includes a pick up from major tourist centers, and while it’s only about an hour’s drive from Seminyak, you’ll feel like you’re a million miles from the hustle and bustle of the busy tourist centers of South Bali. 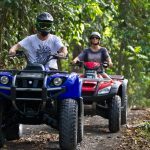 The trip itself offers a glimpse of the scenery you will soon be exploring via quad bike; here you’ll find one of the largest areas of rice paddies in Bali. 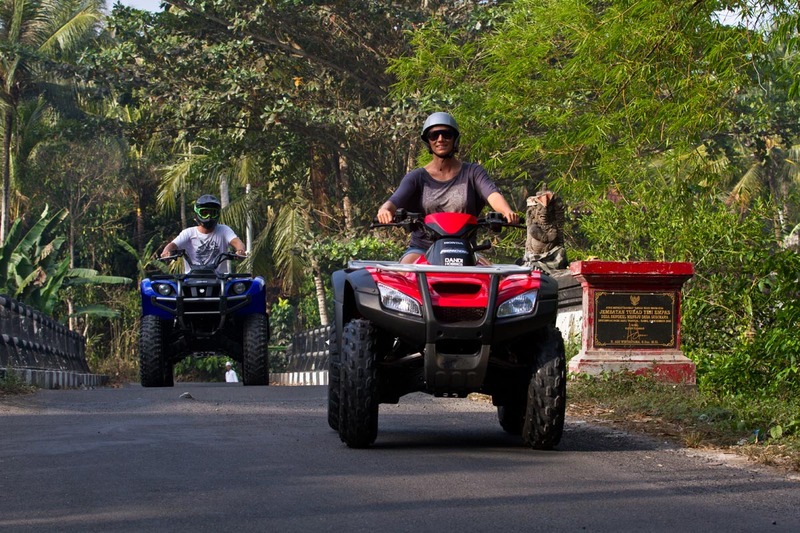 The quad bikes are fully automatic, making them easy to ride, and are suitable to be ridden either solo or tandem. 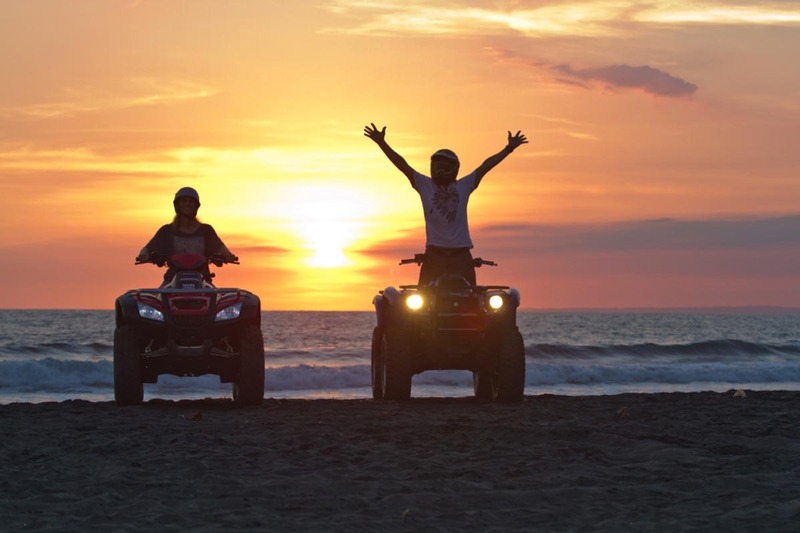 With a regular programme of maintenance by internationally trained mechanics, you can also be sure of a bike that won’t let you down. 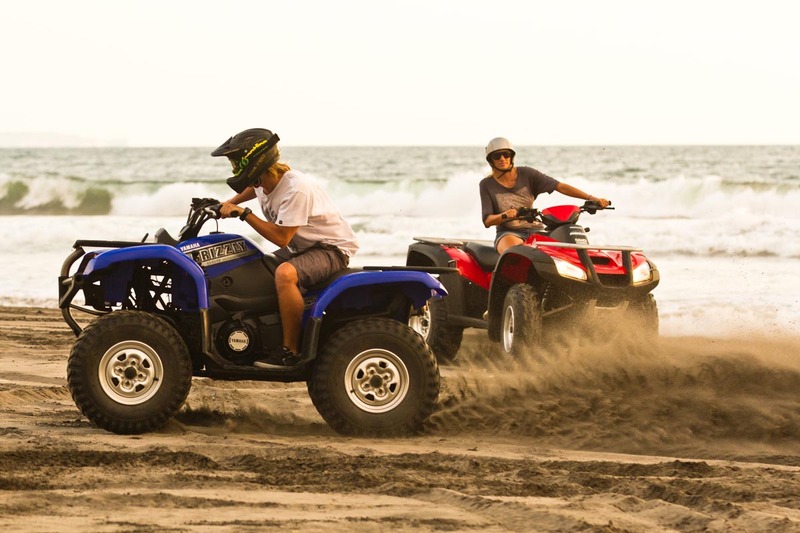 A full briefing will be given and safety equipment provided, before you set out on your adventure, accompanied by experienced, English speaking guides. 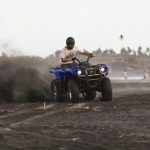 The tour will first take you along the stunning black sand beach of Yeh Gangga, before you head inland, passing through the local Balinese village, and you will see close up village life continuing little changed for generations. Heading off on the narrow tracks through the rice paddies, you’ll enter a tranquil sea of green as the breeze gently rustles through the rice, tended to by farmers in traditional cone hats. 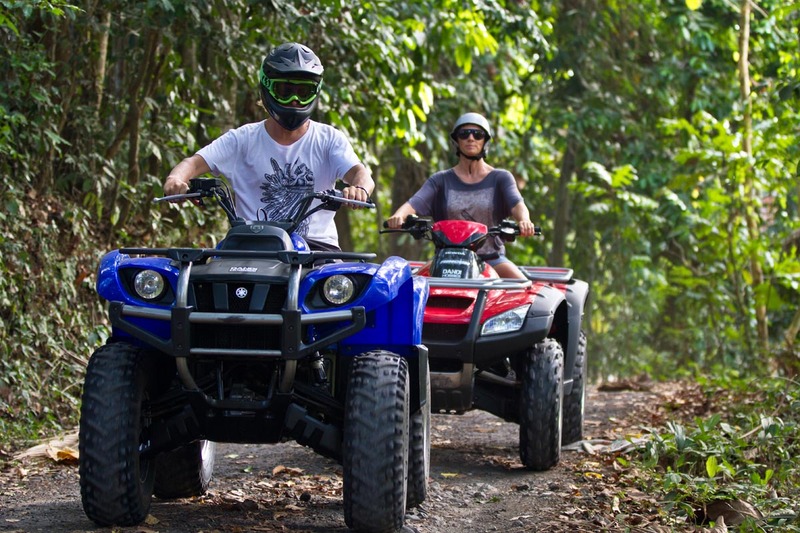 Towards the end of the tour, a cliff top will provide not only great views, but also a fantastic photo opportunity before heading back to base, where, if you’ve been on a two hour tour, a traditional Australian BBQ Sausage Sizzle awaits, or an Indonesian Nasi Goreng for the vegetarians. 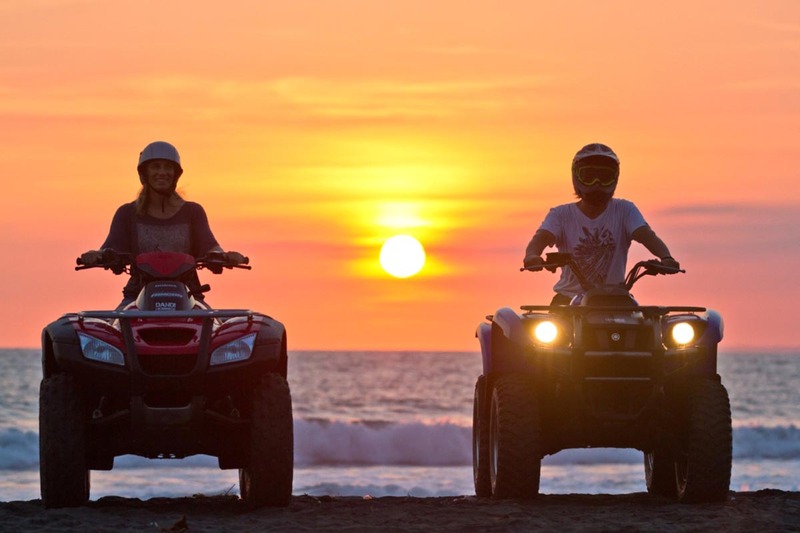 Book directly, and enjoy an unforgettable tour, knowing that you’re supporting a company that’s supporting conservation on the beautiful island of Bali.